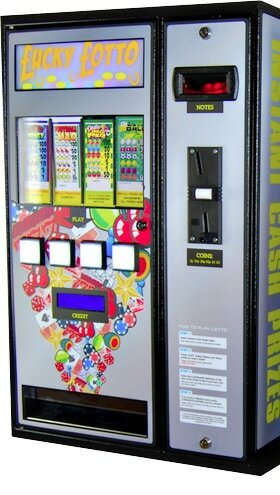 Arrow Leisure supply state-of-the art ‘Flexitab’ lottery machines with a huge range of big jackpot tickets that will enable you to effortlessly run a successful, cash generating lottery on your premises. New £1 coin and polymer note ready. Wall mounted or free standing. Contact Arrow Leisure today for more information on our pull tab machine supply services and a free, no obligation quote.